$1,200.00 $900.00 Only 1 Left! 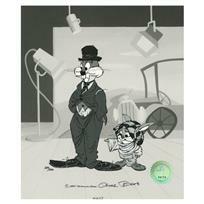 Own this amazing piece based on the original line image hand drawn and hand-inked on paper by Chuck Jones! 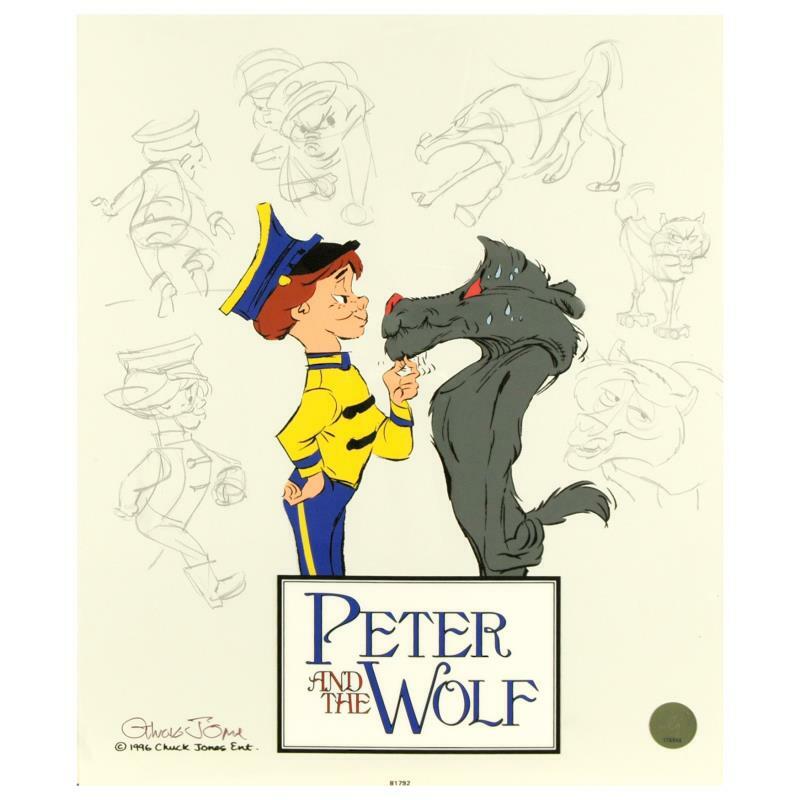 “Peter and the Wolf: Character Sketches” is a sold out limited edition animation cel with hand painted coloring on sericel outline, numbered and hand signed by Chuck Jones (1912-2002). Includes Certificate of Authenticity! Measures approx. 13.5” x 16.5”. Shipping and Handling: $16.95 FREE SHIPPING! Chuck Jones (September 21, 1912 - February 22, 2002) was born in Spokane, Washington but grew up in Hollywood, California where he was inspired by the comedic talents and slapstick humor of Charlie Chaplin and Buster Keaton. As a child, he occasionally worked as an extra in Mac Sennett comedies. Jones graduated from Chouinard Art Institute in Los Angeles (now California Institute of the Arts). He often drew pencil portraits for the price of one dollar each and sold them on Olvera Street in downtown Los Angeles. In 1932, Jones got his first job as a cel washer for Ubbe Iwerks, a former Disney Animator. In 1936, Jones began working for Leon Schlesinger Studio, (later sold to Warner Bros.), after being hired by Friz Freleng as an animator. Once the animation branch of Warner Bros. closed, Jones briefly worked for Disney before moving to MGM where he created new episodes of Tom and Jerry and directed features such as The Dot and the Line, which went on to win an Academy Award for Animated Short Film. Chuck Jones’ work has been honored at film festivals and museums throughout the world, including a one-man retrospective at the Museum of Modern Art in New York City. His autobiography, Chuck Amuck: The Life and Times of an Animated Cartoonist , appeared in 1989, now in its fifth printing. "The Neurotic Coyote" Sold Out. Limited Edition Animation Cel with Hand Painted Color. 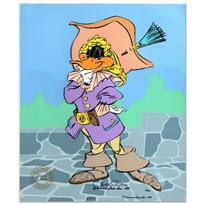 Numbered and Hand Signed by Chuck Jones (1912-2002) with Certificate of Authenticity. 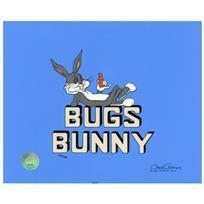 Chuck Jones "Title "Bugs Bunny"" Hand Signed, Hand Painted Limited Edition Sericel. 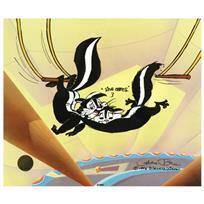 "Sound Please" by Chuck Jones (1912-2002). Limited Edition Animation Cel with Hand Painted Color. Numbered and Hand Signed with Certificate of Authenticity. 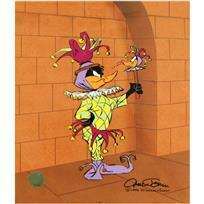 "Rude Jester" by Chuck Jones (1912-2002), Limited Edition Animation Cel with Hand Painted Color. Numbered and Hand Signed, with Certificate of Authenticity. 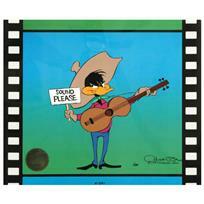 Chuck Jones (1912-2002), "Daffy Cavalier" Limited Edition Animation Cel with Hand Painted Color, Dated (1988), Numbered and Hand Signed with Certificate of Authenticity. 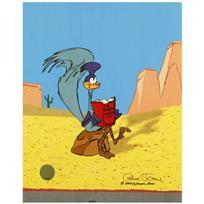 Chuck Jones "The Kid" Hand Signed, Hand Painted Limited Edition Sericel. Chuck Jones (1912-2002), "Mark of Zero" Limited Edition Animation Cel with Hand Painted Color, Dated (1993), Numbered and Hand Signed with Certificate of Authenticity. 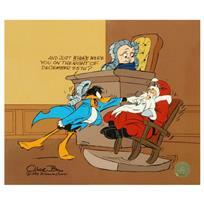 "Santa on Trial" by Chuck Jones (1912-2002). Limited Edition Animation Cel with Hand Painted Color. Numbered and Hand Signed, with Certificate of Authenticity. "Kitty Catch" by Chuck Jones (1912-2002). 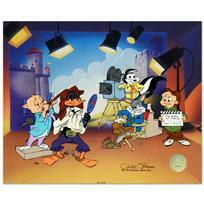 Limited Edition Animation Cel with Hand Painted Color Numbered and Hand Signed, with Certificate of Authenticity. 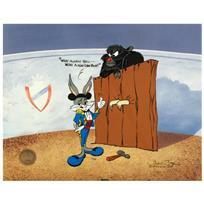 "Bugs and Gulli-Bull" Limited Edition Animation Cel by Chuck Jones (1912-2002). With Hand Painted Color, Numbered and Hand Signed with Certificate of Authenticity.